Lock in a great price for Villa Conti – rated 9 by recent guests! Our room was on the top floor and the room and bathroom had all these cool old beams in it. It was located right in the middle of everything so it was easy to walk everywhere. The owner went out of her way to be helpful. It was very nice hotel. The property was clean and comfortable. The owners were very hospitable. We loved the charm of this small historical boutique hotel, it was super clean and cozy. The front desk manager Miroslava was extremely hospitable and helpful and made us feel like at home. The hotel is located on a quiet street just a steps away from everything. We had a great time at Villa Conti. Free breakfast was excellent with with selection to please everyone in our family. The room was wonderful and looked newly redone. We enjoyed the breakfast a lot! The location was good - the area of old town is not big or far away anyway. The host prepared the breakfast a little bit earlier than the offical time because we had to leave and move very early in the morning on our check-out date, which was very nice and considerate. The accommodations were exactly as pictured, beautiful, tasteful, and comfortable. Miroslava was the sweetest hostess ever!! 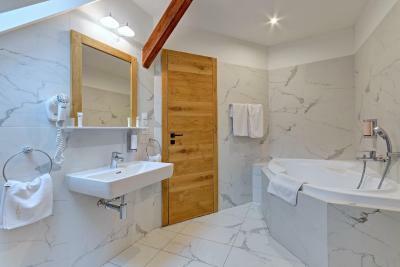 This was the best hotel I stayed at during my month-long trip through Italy, Hungary and Czech Republic and I highly recommend this Villa Conti!! Perfect staff ready to help with any request. Fantastic location - in a quiet street just around a corner of the main street. Fabulous rooms. Nice small hotel in the very center of this lovely town. 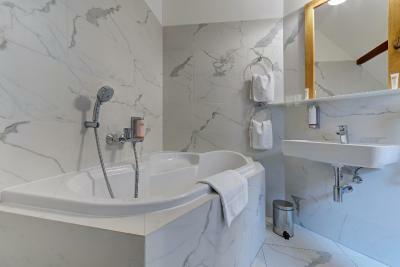 Clean room, very beautiful comfy bed, nice bathroom with a bathtub, impeccable service & attitude, good breakfast. Highly recommended. Breakfast was very good. We liked the fact that VIlla Conti was just off a main street. It was very close to restaurants and the castle, but was also peaceful. We would absolutely stay there again. Staff was extremely friendly...Rooms spacious and clean! 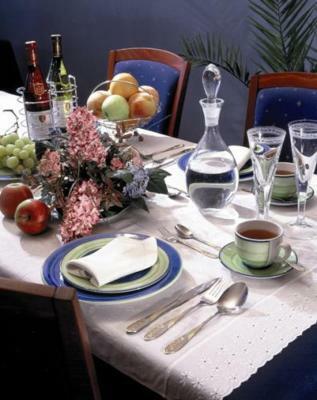 The room was great, breakfast was substantial and the staff was very friendly and accommodating. The view of the garden from my room was also wonderful. 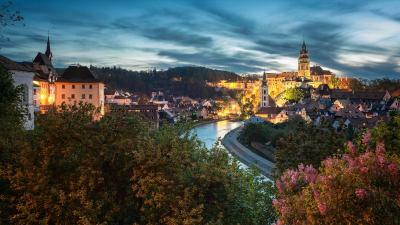 Although I was traveling alone on this occasion Villa Conte would be perfect for a romantic getaway and if I come back to Cesky Krumlov I would most definitely stay here again! Villa Conti This rating is a reflection of how the property compares to the industry standard when it comes to price, facilities and services available. It's based on a self-evaluation by the property. Use this rating to help choose your stay! 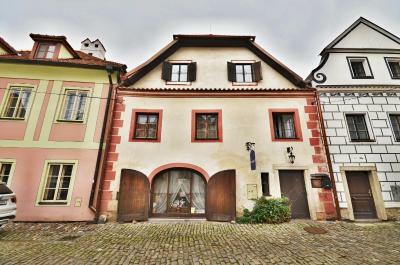 One of our top picks in Český Krumlov.Villa Conti is located in the historical center of this UNESCO-protected town, only 650 feet from the main entrance of the chateau, and offers you rooms of outstanding romance. 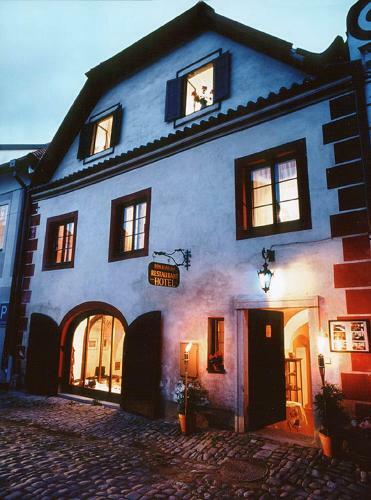 Set in a restored Renaissance-style building dating back to the second half of the 16th century, you can experience utmost comfort and classic style. 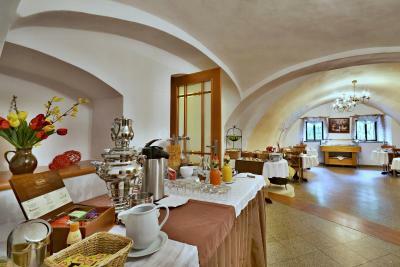 Start your day with the complimentary breakfast buffet and set out to explore this picturesque ancient town, also known as "Venice on the Vltava river", with its exceptionally large castle. 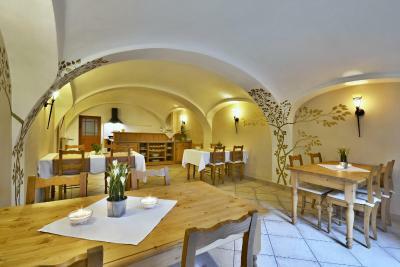 This is our guests' favorite part of Český Krumlov, according to independent reviews. 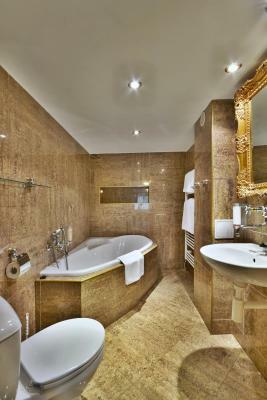 When would you like to stay at Villa Conti? 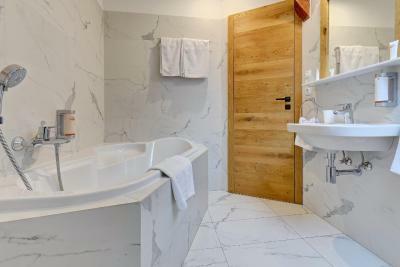 Stylishly furnished rooms feature a TV and a private bathroom. 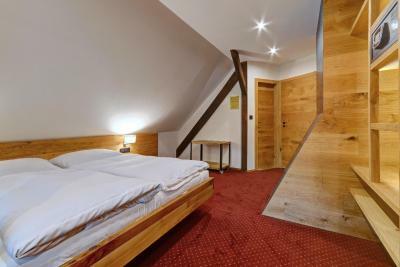 Rooms are located in the attic. 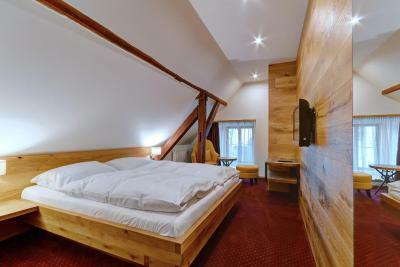 Stylishly furnished suite with wooden ceilings offers street or garden views. 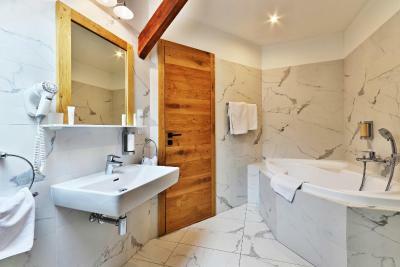 It features a seating area with a sofa, a TV and a private bathroom with a bath. 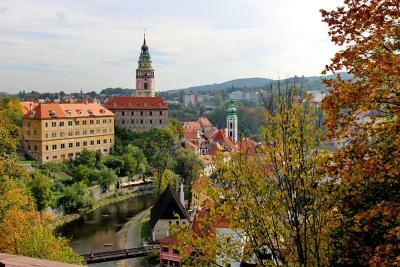 The old town in Cesky Krumlov is small yet packed with architecture from different eras. 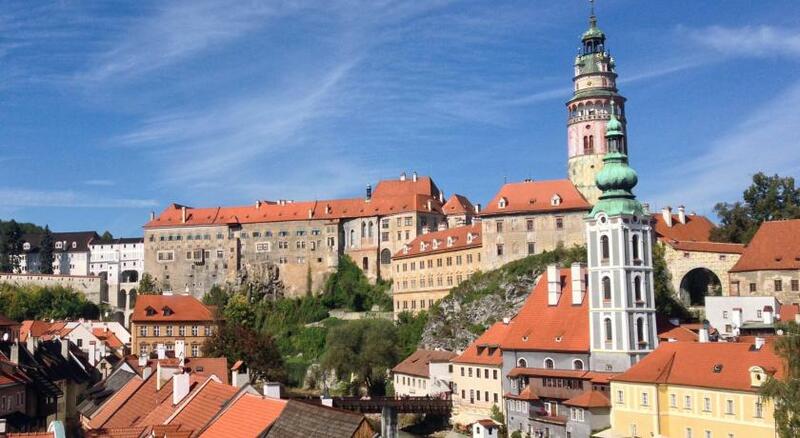 Climb up to the castle to enjoy views overlooking the Vltava River. House Rules Villa Conti takes special requests – add in the next step! Villa Conti accepts these cards and reserves the right to temporarily hold an amount prior to arrival. Please inform the hotel should you wish to arrive later than 6pm. Please inform Villa Conti of your expected arrival time in advance. You can use the Special Requests box when booking, or contact the property directly using the contact details in your confirmation. 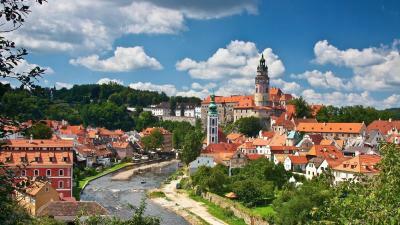 One of the most picturesque neighborhoods in Český Krumlov! The room are clean and we can see a little garden from the window.it’s so nice and fresh. Great location what near the castle. It was a little bit cold in the room. Also please note there is a steep stairs so it may be difficult to get on the 2nd floor if you have big luggage. Lovely clean room with the new furniture on the 2nd floor. 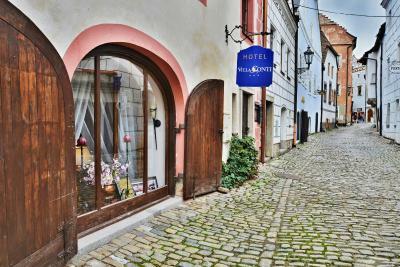 Even through the room isn't really big there is almost everything you'll need for your stay in Cesky Krumlov. The best part was a small 'living room area' :) The staff is very friendly and helpful. Ask for anything you need - they will help you for sure. 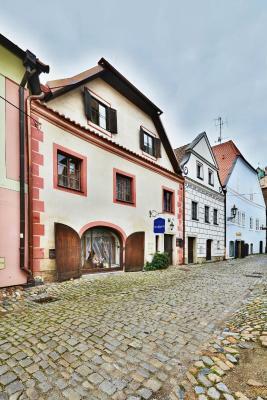 Great location in the old town. There is a pizza cafe near the hotel - we recommend to visit it :):) We checked our early in the morning ans asked for a early breakfast and everything was ready. Very nice person, Thomas looks after us very well. Help us with the luggage, provide us excellent breakfast, and also drive us to the station due to our many & heavy luggages. Very recommended!!! 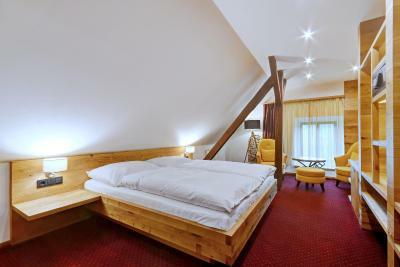 Very good hotel, great location, comfortable and clean. 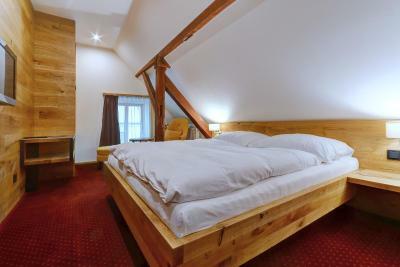 The suite was very spacious with a view to Cesny Krumlov's castle and really warm and cosy. The staff, specially Miroslava went above and beyond their call of duty to accommodate and make it quite a nice and unforgettable time at Villa Conti. I'd not only recommend it to a friend but definitely stay back there when I visit toqn again. 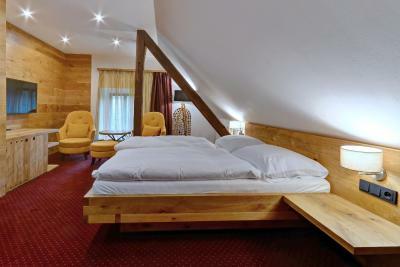 The top floor room was very nice newly renovated. 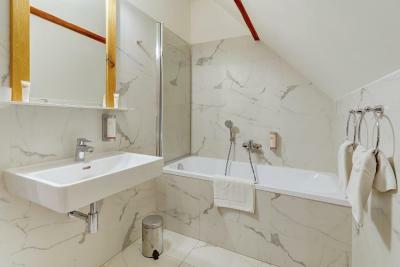 The problem was slanted ceiling over bed and in bathroom.I hit my head a couple of times. The staircase was difficult to climb. The stairs to the second floor! !